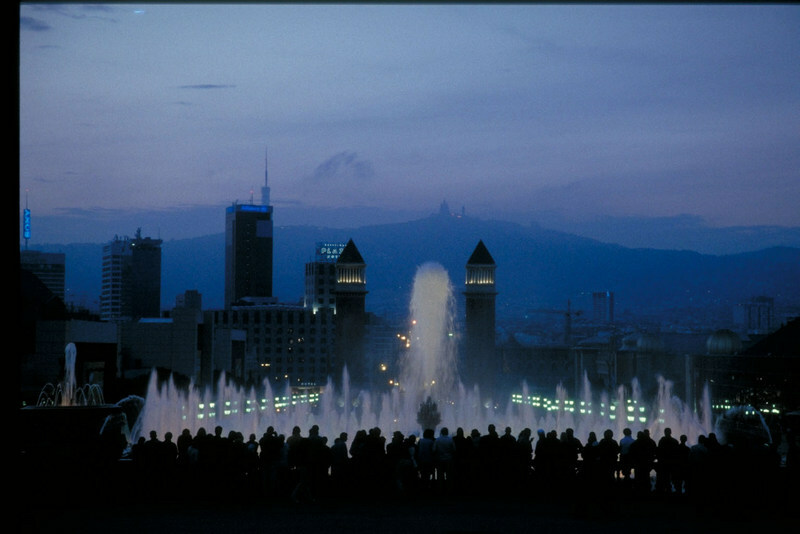 Barcelona is a city of monuments, whether driving or walking, these unforgett- able symbols of Barcelona are everywhere. 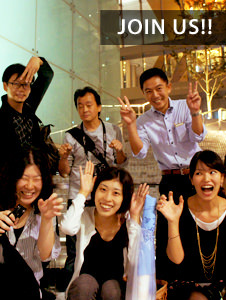 At night, the lights of the city further jog one’s memory and create distinctive perspective projections. 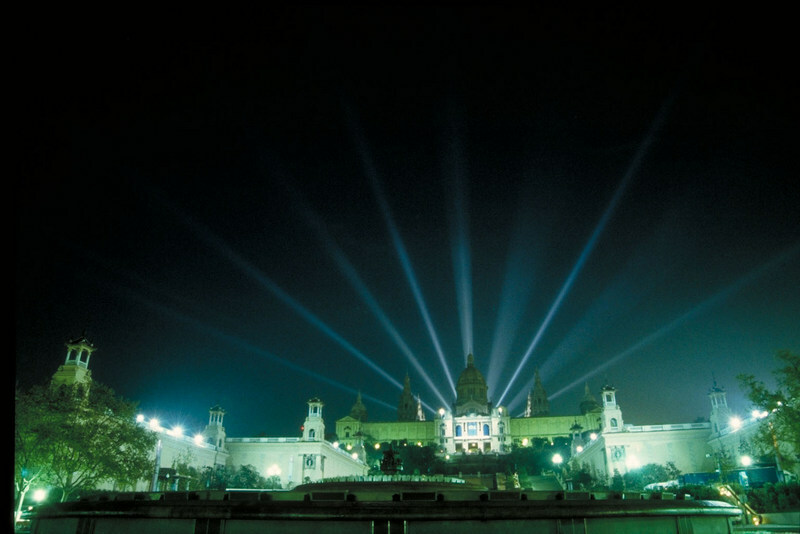 Streaks from xenon lamps radiate from the top of the Nacional Palace leaving a graphical pattern in the sky. 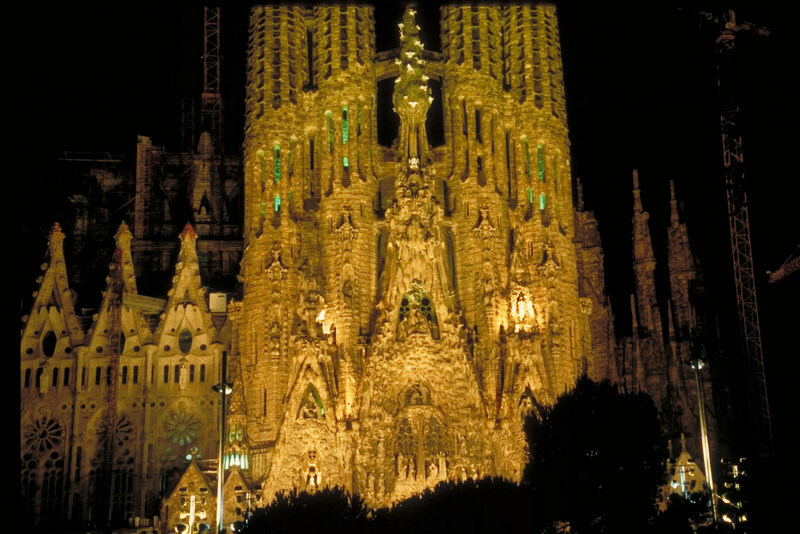 A symbol of Barcelona, the unfinished Sagrada Familia. Shadows at night, further increase the impact of this cathedral. Approaching Place Espanyla from Nacional Palace .